I had an opportunity to visit this temple near Vriddhachalam last Sunday. I was driving down from kumbakonam to Chennai after an “on the spur of a moment” trip the previous day. my wife and her aunt wanted to visit Andimadam , a small village famous for its cotton sarees which are very light in weight and on the purse too!! So after a feel good saree purchase trip I happened to pass by this temple currently under renovation and had a good darshan. The temple is situated in Rajendrapatnam and is known as Erukathampuliyur due to the abundant Erukka( Calotropis procera, Arka, Jilledu, Erukkam) trees forest here puliyur because Vyagrapada did penance here.More about that in history.Rajendrapatnam is 25 kms from Jayamkondan towards Vriddhachalam and it is 13 kms away from Vriddhachalam.The temple is easily found just by the side of the highway. This place was very peaceful in the past and all the devas used to come here to meditate on the lord Shiva here in the form of bees, animals, trees etc. The local hunters started hunting these animals and cutting the divine trees.The lord cursed these hunters to become erukka plant which is generally considered useless .This explains the Erukka forest. Once Shiva was expounding the Vedas to Parvati and she appeared disinterested he cursed her then to be born here as a fisher women.this enraged Murugan who threw the palm leaves of shiva as his mother was cursed so Shiva also bid him to be born on earth in Madurai to Sri. Thalapathy and Gunasalini in the name of Rudrasanman , He was unfortunately born a deaf mute. 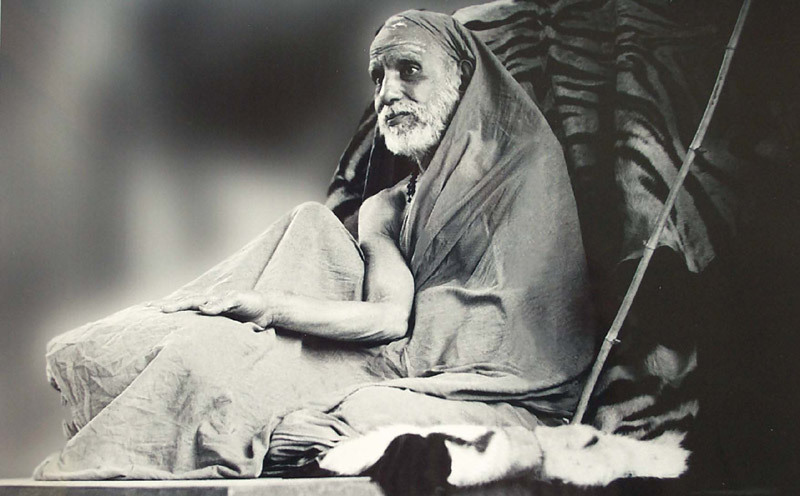 When he grew old, he went to many Shiva shrines seeking relief and was blessed with speaking skills at Erukathampuliyur. As Kumaran (Murugan) worshipped Lord Shiva in the place, the Lord is named Thiru Kumara Swami. There is an idol of Rudrasanma in the temple. King Rajaraja Cholan prayed to Lord of this temple seeking a worthy progeny and was blessed with a son who later grew famous as Rajendra Cholan/Ponniyin Selvan/Arulmozhi Varman, hence, the place is called Rajendra Pattinam. A king from the North of India called Suvedhan a, staunch Shiva devotee was infected with leucoderma due to his past sins and got relieved of the cruel disease by worshipping the Lord after a dip in the sacred Erukathampuliyur spring. The rays of Sun fall on the Lord from March 16 to 20. People with Stammering and speech difficulties pray to the lord here for mitigation of their problems. By sheer providence I took a wrong turn at Aduthurai and ended up at this temple while trying to visit the Thirumananjeri temple (click here to see my blog on the Thirumananjeri temple). It was a divine blessing as I came too know that the pre marriage Vedic homams were all conducted here for Shiva and Parvathy before their wedding at Tirumananjeri and we are supposed to visit this temple before visiting the Thirumananjeri temple. The temple was the place where the vedic homam before the wedding was conducted. Those with delay in wedding should do homams here to expedite things.Compared to the Thirumnanjeri temple there is no crowd here. the peaceful surroundings were enchanting . Lingodbhavar, Chandrasekhara and Ardhanaareeswarar adorn the outer walls of the main sanctum. The Ardhanari is unique in hat the shakthi is depicted on the right half unlike the usual left . Inscriptions from the period of Sembian Mahadevi and Rajaraja Cholan and Parantaka Cholan have been found in this temple.